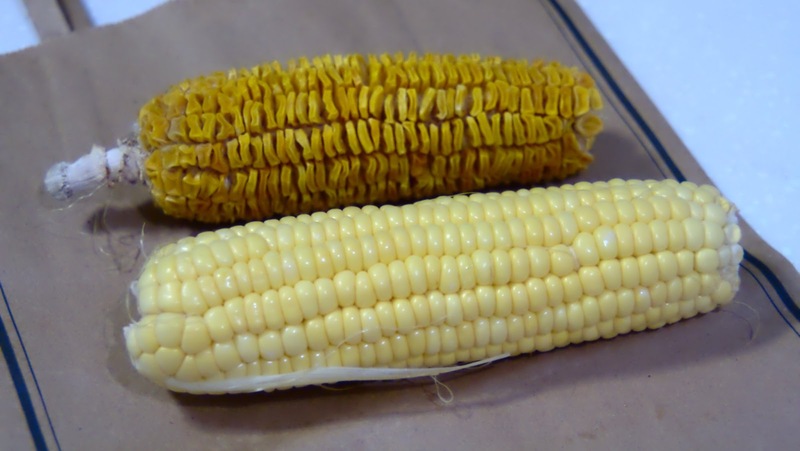 Last month, I was so excited and about to pop a corn cob into microwave after I saw some videos about popcorn on the cob a while before. But after I searched for approximate cooking time, I realized that it needs to be a dried cob. So, I hung the cob in the air to air-dry it. A minute in the microwave, nothing had happened, and I began to worry that the corn was, well, too dry. As we know microwave heats the water content, I had a feeling this is not gonna end well. Then, I started to hear pop, pop, pop. I thought maybe I would have popcorn on the corn after all, only I felt the popping sound was little different, quite low in the volume. Burnt, but it tasted like popcorn in a way and not really bad at all for those not burnt ones. 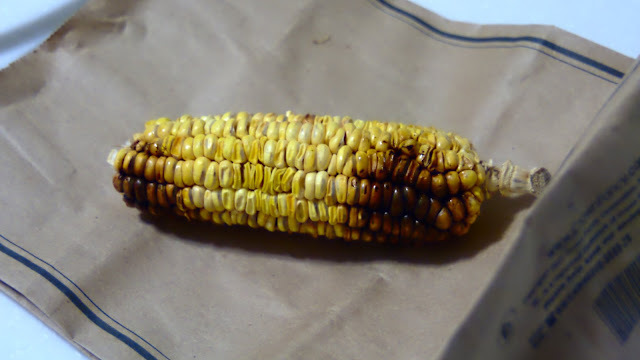 At the moment, I was sure it's really too dry and I remembered the photos of dried cobs I saw. 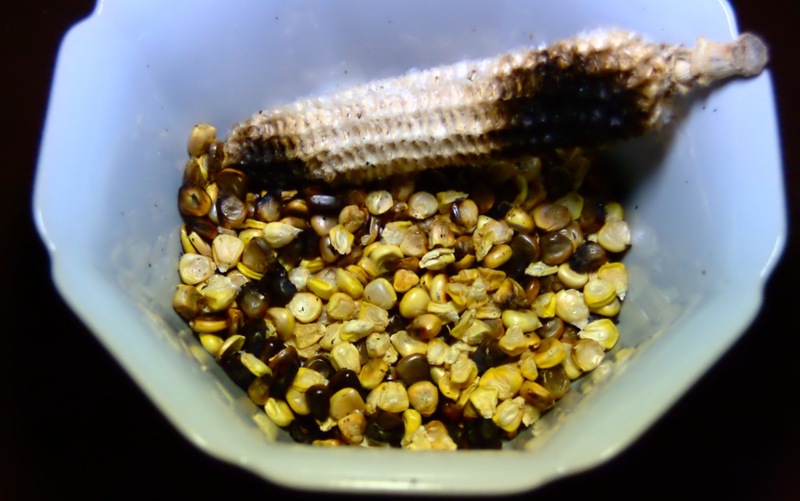 Those kernels looked dried but still plump like the fresh corn in the first photo, only in dark brown color. Maybe the variety is also important. Although, this didn't give me popped popcorn, I still ate every bit of them, including the burnt ones. The bowl was big, but that corn should be able to fill it if those did pop into white popcorn. I am not giving up yet, the second corn is being dried. This one, I will keep a close eye on it, so it won't get too dry.